Hiring well in the construction industry is getting more difficult each year. According to the U.S. Bureau of Labor Statistics, the number of new construction jobs is forecast to grow faster than the average for the job market. For employers, that means it is going to become more difficult to stand out and attract talent, especially with the continued construction labor shortage. Competition for workers is not the only factor that makes construction hiring challenging. Collect the wrong data on your construction e-forms, and your company’s hiring process may miss out on critical opportunities. Even worse, if you collect the wrong information, you may violate labor laws that relate to discrimination. You might be wondering if it is worthwhile to improve the quality of your construction hiring. You probably have some process in place already. There are a few costs to consider. When you hire the wrong person as a result of poor due diligence, there is a higher probability you will have to replace them quickly. Missed construction deadlines and angry clients are two consequences of unpredictable employee turnover because of bad hiring. To address those risks, look for ways to improve your hiring methods. Wait, we know what you’re thinking: you don’t have time to change your hiring process completely. Wholesale change is not required. A few small changes may be all you need to avoid hiring mistakes. We can’t train you to become a better interviewer. But we can equip you with better tools to add structure and organization to hiring. Using construction e-forms — digital forms where you can collect standardized data — ensures that you ask the key questions every time. That consistency matters if you have new managers who may not be experience with the hiring process. Think of this process as a way to reduce risk and hiring bias. Choose one or more of these suggestions to improve the efficiency of your hiring. The benefit of avoiding just one bad hiring decision is well worth the effort. In a large construction company, you may struggle to gather input from each department. Do you need to hire more electricians? Or is your bottleneck a lack of capable supervisors? Use construction e-forms to quickly gather input from managers across your organization before you post a job listing. Tip: Keep up with rapid company growth by keeping your administrative departments fully staffed. Senior management will end up making decisions on low-quality data if you allow administrative departments like finance to function without adequate staff. Some of the best ideas to improve recruitment are inside your company. Gathering those ideas quickly does not need to be difficult. Use a construction e-form on a quarterly or semi-annual basis to gather recruiting suggestions. For example, ask for links to job websites and recruiting firms that have produced the best results. Add these ideas to your recruiting process. Tip: Attracting high-quality employees to your company is a good way to improve recruitment. Specifically, some construction firms have attained good results by arranging mentoring programs between new hires and experienced employees. That approach helps new hires to feel like they’re part of the organization. No construction company has all the answers, especially when it comes to standard processes and procedures. In the first week, ask your new hires to look at your construction e-forms. Do the forms make sense to them? Do they have suggestions on how to improve them? Their fresh perspective may be just what you need to improve your results. 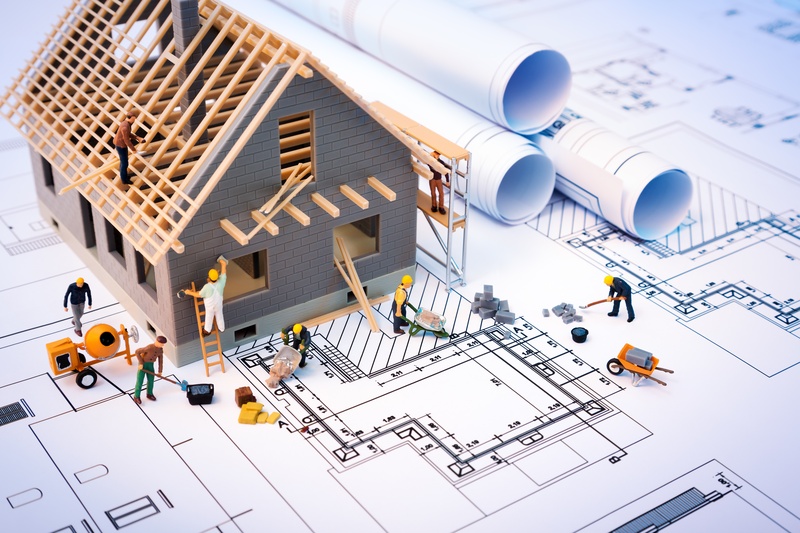 Relying on paper forms to run your construction business just doesn’t make sense. It’s too easy for paper forms to get dirty or lost on construction sites. So what’s the solution in that case? Create an inventory of all the construction forms you use in hiring. On that list, what forms can be digitized? Every paper form you eliminate makes your company more efficient. Tip: According to McKinsey & Company research, productivity in the construction industry lags far behind the manufacturing industry. To catch up, look for productivity ideas from other industries. What is Your Next Step in E-forms for Construction? Now that you know a few ways to improve hiring with e-forms, what is next for your company? Think about using digital forms to improve your safety practices — that should be a priority if accidents have been a problem at your company. If you already have digital forms in place, look for ways to streamline those forms and checklists.